Above: The Standard Glass Burner is displaying Fyre glass. The Standard Glass Burner is a steel constructed vented burner system for your fireplace and is a required item in order to display Fyre Glass or Gems. 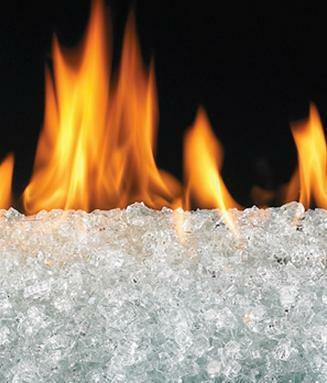 The Standard Glass Burner (NG) is an optional accessory for your fireplace. This 18" Burner is designed to display Fyre Glass and Fyre Gems.